Tidying Up the Home? Here's Where to Donate Your Stuff In & Around Saratoga! 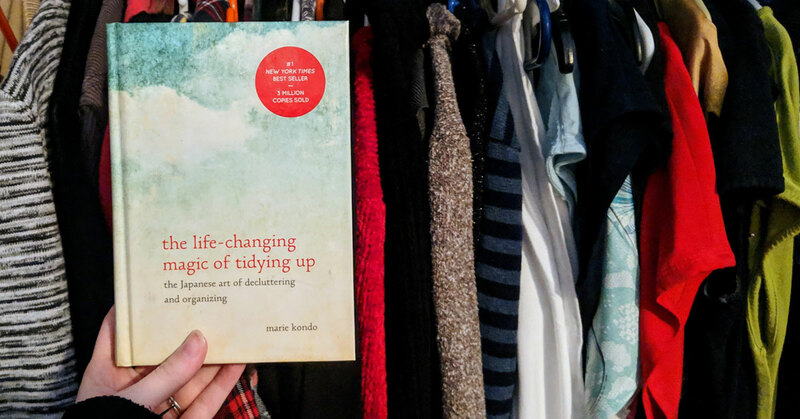 If you've recently jumped on the Marie Kondo bandwagon you've probably purged your closet, reorganized your kitchen, and discovered items you didn't know existed in your garage. Books can go to local libraries, but where do you bring your clothes, furniture, and other home goods? We put a call out on the Saratoga.com Facebook page to find out where you can donate your stuff in the Saratoga Springs area. Please read the details before bringing donation items over to individual organizations - each has their own guidelines and rules on what they are able to accept and when. Donation hours are: Monday, Tuesday, and Wednesday 9am to 5pm; Wednesday 9am to 7pm; Friday 9am to 5pm; and Saturday 10am to 3pm. They gladly accept clothing that is in season, in style (excluding vintage clothes), and clean - wrinkle-free, odor-free, and neatly folded. Shoes, belts, and handbags need to be in excellent condition and cannot be designer knock-offs. Household items accepted are dishes, cookware, bakeware, glassware, eating and cooking utensils and collectibles (that have been dusted and are in excellent condition). Linens and bedding must be washed and stain-free. Kids clothing and books in good condition are accepted; they cannot by law accept baby furniture, car seats, strollers, or toys. Please call ahead for furniture donations to 518.371.1185. Furniture cannot be soiled, broken, moldy, severely scratched, covered with pet hair, etc. They're unable to pick up the furniture and ask you that you bring someone with you to help unload it. Books, artwork, CDs, and DVDs are only accepted on an as-needed basis. CAPTAIN'S Treasures is a store that provides gently used, quality clothing and household goods at a great savings for families. Over 60 volunteers help to operate the store and organize donations from the community. Furniture donations can be made by calling 518.587.9826. They have an ongoing list that serves as a match for donors and people in need. They cannot accept furniture items at their location or provide transportation - they arrange for these donations to be made. Clothing and household items can be dropped off at their Distribution Center at 101 Washington Street on Tuesdays between 9am and 1pm. Clothing donations are limited to two bags of in-season clothing. Food pantry items can be dropped off at their main location at 10 Franklin Street Monday through Wednesday from 9am to 2pm, and Thursday from 2pm to 7pm. Please use the handicapped entrance through the fence gate. The Franklin Community Center is a nonprofit that provides basic necessities and services to less fortunate individuals and families in Saratoga. They work to improve quality of life and foster a sense of neighborhood, community, and family for all. They accept slightly used, clean, in good condition clothing and shoes. Due to limited storage space they ask for in season donations only. The thrift store is open Monday through Friday, 8am to 4pm. The Moreau Community Center is a nonprofit organization that serves as a hub for youth, seniors, and general community activities and services for Saratoga, Warren, and Washington Counties. Noah's Attic accepts donations of clothing and household items in good condition during their open hours. Due to space limitations, they do not accept furniture, computers, TVs, or large-item donations. Their hours are Tuesday 9:30am to 3pm, Wednesday and Thursday 9:30am to 5pm, Friday 9:30am to 3pm, and Saturday 9:30am to 2:30pm. Noah's Attic is an outreach center and thrift store that operates as a ministry of Christ Church. They're located in the brick building across the street from the church. They use donations to support other important organizations in the area, including the Tree Life Ministry (with stuffed animals), Shoes for the Shoeless (distributed through the Appalachians), and Saratoga Racetrack Chaplaincy (with luggage and clothing for backstretch workers). Please call ahead before bringing items to the Salvation Army - they have been inundated with donations thanks to Marie Kondo and at times must turn people away; they also have strict regulations on what they can or cannot accept. The Saratoga Salvation Army's number is 518.584.1640. The Salvation Army is an international organization that is part of the Christian Church. They have a rich history of helping people in need around the globe. Furniture is accepted through The Furniture Program. They are in desperate need of beds of any size, dressers, tables, and chairs. To donate good, used furniture please contact Tyara Burnett at 518.274.5920, extension 204. They also have a Computers for Kids/Computer Ministry Program and are in need of computers. To donate a computer call their office at 518.274.5920. Troy Area United Ministries provides a safe space for those in need, offering meals, HIV/AIDS services, furniture, education, spiritual counseling, and advocacy. Donation drop off hours are Monday through Friday 9am to 3pm. They're happy to take gently used items, but can only accept the same quality they have in their store. Please call ahead beforehand. They're at 518.274.2607. Unity House's thrift store ReStyle offers new and used clothing and a variety of household items to those in need at affordable prices. The Unity House as a whole provides a wide range of services to individuals in the community who are hurting and struggling. Know of a Saratoga area donation spot we missed? Let us know!